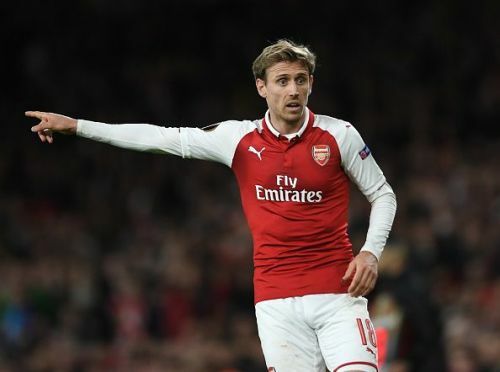 Nacho Monreal is arguably the only standout performer in Arsenal’s weak defensive line. He has consistently become a better player who could contribute significantly to the Gunner’s half. He rarely makes fatal errors and has also been one of the most productive defenders for Arsenal in recent seasons. The defender was a bargain for the North London outfit after he joined from Malaga for a mere £10 million in 2013. He could play equally well either as a center back or a left fullback. However, age is undoubtedly not on Monreal’s side as he is past 30 already. His Emirates career would soon come to an end. Hence, let’s take a look at 3 potential replacements for the defender. Everybody knows how scary Ajax are this season and, Tagliafico has been one of their keys to success. He has started in almost every match for the Dutch giants and has performed outstandingly in both defense and attack. He has found the net 4 times and provided 3 assists combined in Champions and the domestic league for his club this season. The Argentinian is also solid in defense and has amassed 2.3 tackles and 2.1 intercepts on average in the league this season. Both Tagliafico’s goal involvements and defensive stats are significantly better than Monreal’s. Hence, it is safe to say that the 26-year-old would be the direct upgrade for the Spaniard. Chilwell could be Arsenal’s premium option to replace the aging Monreal. The English defender has been a revelation for Leicester City this season and his impressive performance has put him on the radar of a few clubs. He had earned England call-up and has played 5 times for the Three Lions. Both of his goal involvements and defensive stats in the league are slightly lower than Monreal’s. However, he is just 21 years old and has much room for improvement. His future is bright and, his prime year is still ahead. Hence, he would be worth every penny if Arsenal are willing to invest big in him. Grimaldo has turned out to be one of Barcelona’s biggest regrets this season. He had featured prominently for the Catalans youth side but, he never made to the first team and was eventually sold to Benfica for just €1.5 million. Now he is arguably Europe’s most promising fullbacks as he has consistently delivered outstanding performance for the Portuguese outfit. He has amassed 7 goals and provided 6 assists combined between Europa, Champions, and the domestic league. His defensive stats are also no less impressive as he has 2.2 tackles and 1.5 intercepts on average in all competitions. He is undoubtedly better than Monreal statistically in both attacking and defending. He is just 23 years old and could play for Arsenal for many more years to come. Hence, he would be the perfect long-term replacement for the Spaniard.